Looking for something to do on Mothering Sunday? Why not visit the Museum and Complex? If Mum completes the Bikers Trail in the Museum, she will be awarded with a Certificate and a small gift! We look forward to welcoming all Mums on Sunday! The Museum will open at 10am and we look forward to welcoming all adventure bike riders. The weather forecast is light cloud and gentle breeze, with temperatures between 12 and 13 degrees. Bikers!!! Please use the wooden blocks for your side stands as our tarmac is brand new this week!!! Thank you. Email Viv on museum@sammymiller.co.uk for further information on this and our other events. This year Sammy is taking two of his most exotic bikes to be displayed on the Footman James Stand at the Stafford Show. 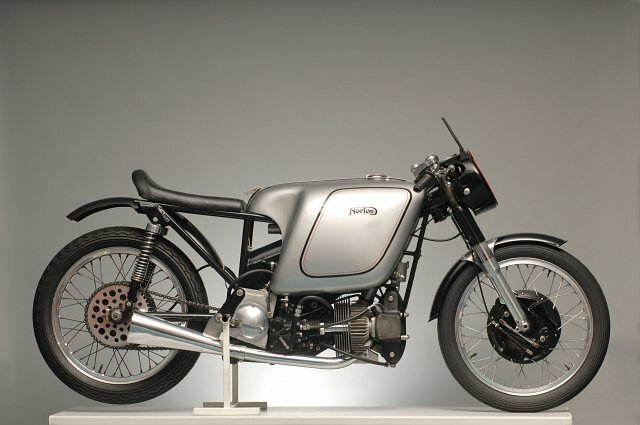 The stunning 1955/6 350cc Model F Norton and the experimental 1953 350cc Norton 'Silver Fish' Kneeler. For the last two years Footman James has won the Best Trade Stand, so a visit to their stand is an absolute must!! Both bikes will be back on display in the Museum after the Show. Below is the Model F Norton. MCN is in search of great ride out destinations to find the ultimate custom breakfast! They want your pictures of floury bacon baps and sizzling big breakfasts – just like the Bashley Manor Tearooms produce here at the Museum Complex in the New Forest. All will be considered by MCN for inclusion in the 2019 hunt. MCN will be visiting one cafe each week and as Autumn approaches they will reveal the top ten best ranking cafes on tour and open them up to a public note to pick the 2019 winner of MCN's Golden Sausage Award. 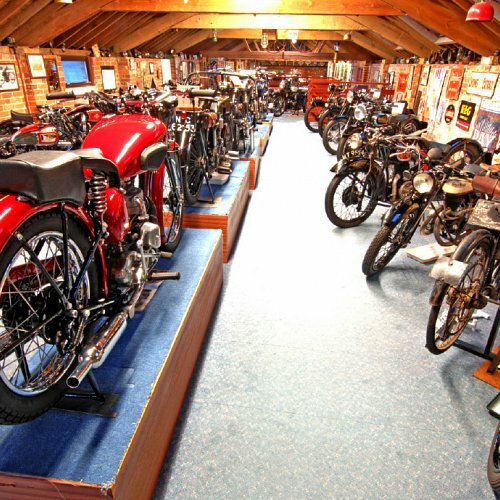 So please all of our Tuesday bikers and the Tearooms customers drop MCN an email and vote for Neil and the Team here at the Sammy Miller Motorcycle Museum Complex in the New Forest! Weather forecast for Sunday is sunny intervals, moderate breeze and temperature of around 10 degrees. A great day for a ride out to the Museum!! IAM Roadsmart Solent will be here to answer all your biking questions and give advice. No need to pre register, just ride in, park up and enjoy a delicious breakfast in the Tearooms! Free parking. Free entrance to the Complex. 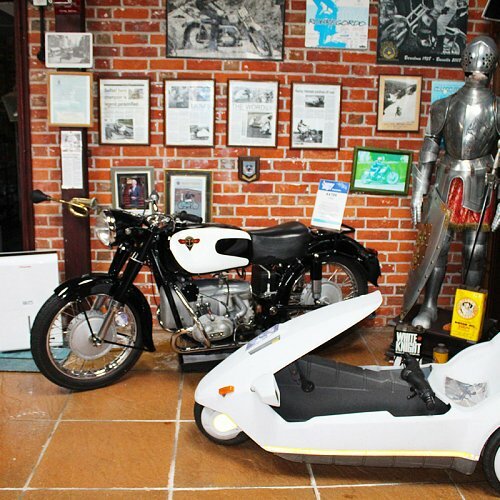 Reduced admission on Sunday for bikers wishing to visit the Motorcycle Museum. Email Viv on museum@sammymiller.co.uk for information on our other events. During the Easter break all junior bikers taking part in our in FREE Museum Trail will receive a Certificate, a postcard and choose an Easter treat!! In the Museum Courtyard today – Ping Pong Ball Hunt for an Easter Egg gift! Adults: if you have purchased anything from the Tearooms or the Museum today, any children under 10 in your party can take part in our Ping Pong Ball Hunt. Children: find 2 numbered ping pong balls in the Museum Courtyard and, with your adult, take them into the Museum (not the Tearooms). 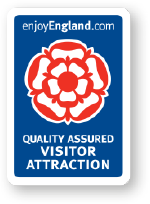 A proof of purchase till receipt from either the Tearooms or the Museum has to be produced to claim your Easter Egg. Have fun and be careful. Beware some of the ping pong balls are well hidden! 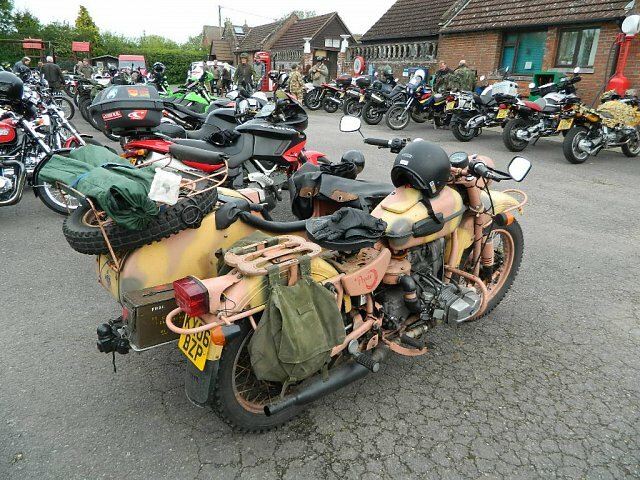 The Museum is delighted to host once again James Page's Despatch Riders Rally! NAVIGATE. Harness your ability to read a map, plot a course and gather the hidden info from across the Isle of Purbeck. SHOOT. Chance your hand at a spot of clay pigeon shooting. Despatch riders will be scored on their ability to master a firearm. OFF-ROAD. Despatch riders would have ridden on all types of terrain. Complete a segment of off-road riding and receive points toward your total event score. CONTROL. Control and balance will be put to the test on our rider training course. Man and machine needed to be united in order to ride to success on the Despatch Rally. A meet up for Triumph riders, all other makes of bike are welcome too of course! Further details on this event willl be available in the new year, in the meantime please email Viv if you would like to register your interest, like to have a trade stall, or bring your Group along to the event. Nigel and Steph will be hosting their fantastic Japanese classic bike show on the Museum Complex. As always a great day out and awards to be won! Further details available in the new year. 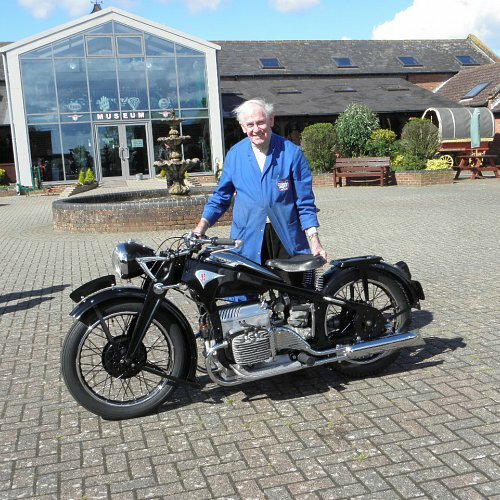 June 23rd will see the first official Rickman Enthusiasts’ Day at the legendary Sammy Miller Motorcycle Museum in Hampshire. Set within line of sight of the old Rickman factory in New Milton, the museum provides the ideal venue for what promises to be a unique and historic event. 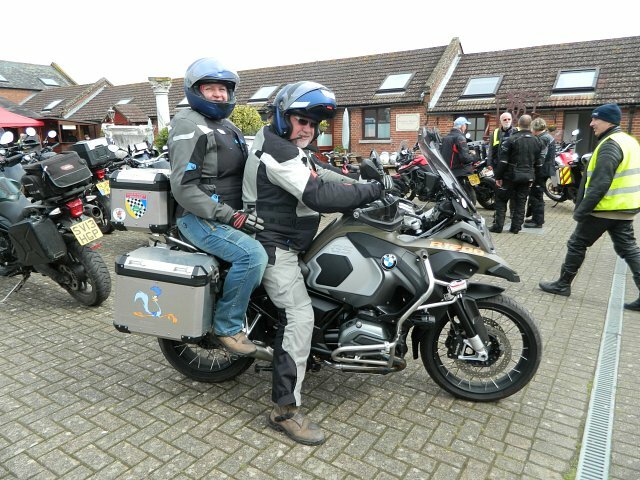 Born from an idea forged by a group of Rickman owners in June 2018 when they met at the museum during a Bike Life event, the Rickman Enthusiast’s Day has gathered interest from around the world, and most importantly by the brothers, Don and Derek themselves. 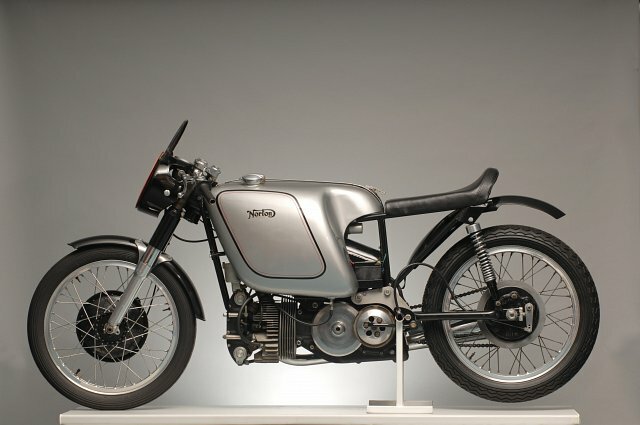 The idea is to gather as many Rickman bikes as possible for a rally and invite the family, and local ex-factory workforce to come and oversee the event. 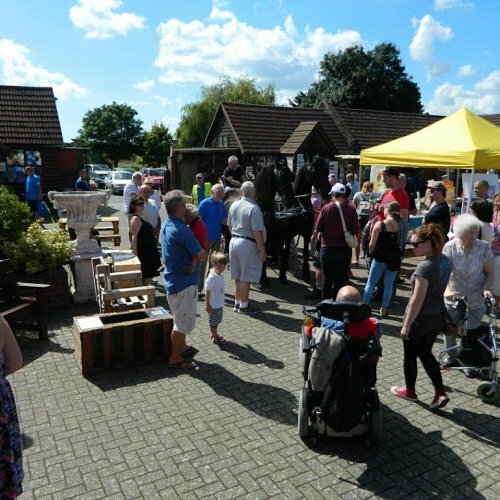 Apart from a huge array of Rickman bikes on show, there will be associated traders and a Rickman ‘bring and buy’ stall. Needless to say, all other bikes will be welcome and there will of course be plenty of parking for visitors arriving by car. There will a number of trophies to be awarded for various classes on the day and there will be two charities the event will be fundraising for; The Hampshire Air Ambulance and the local Oakhaven Hospice, both of which were nominated by Don and Derek themselves. 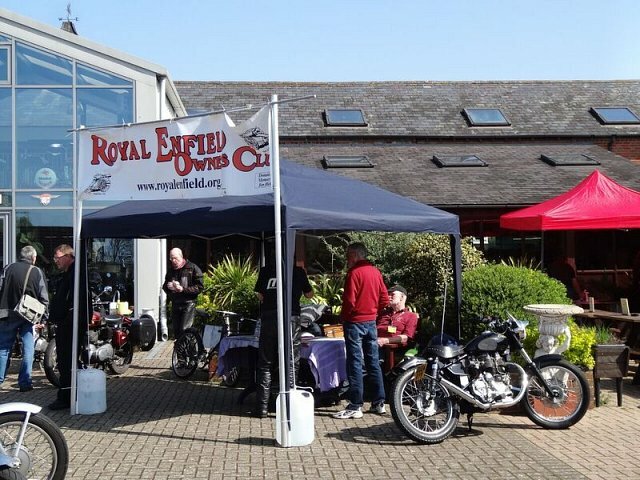 For bikes to be eligible for judging there will be a registration fee (proceeds to the charities) and they will have to be pre-booked via the booking form at the Museum or online via email or the event’s Facebook page. The event and the amazing museum will be open to the public from 10.00 am to 4.00 pm and there will be food and refreshments available on the day. To register your Rickman, please contact Russ Gannicott at triaxiom@btconnect.com to get Paypal payment details. Registration for each Rickman motorcycles will be £6.00. 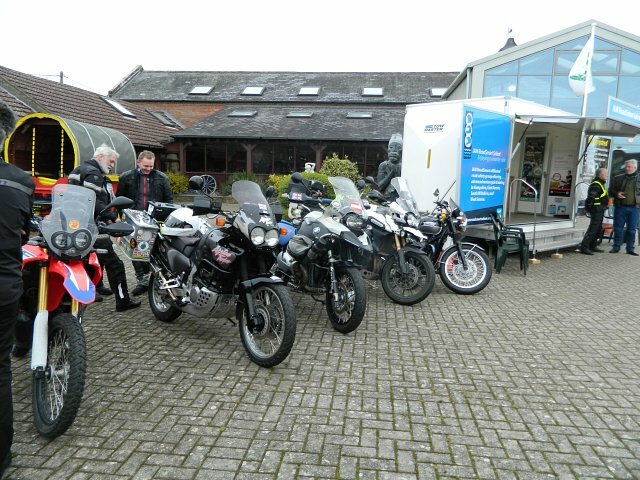 Ride in to our Goldwing Gathering, visit the Museum, have something to eat in the Bashley Manor Tearooms whilst chatting to other Goldwing riders. 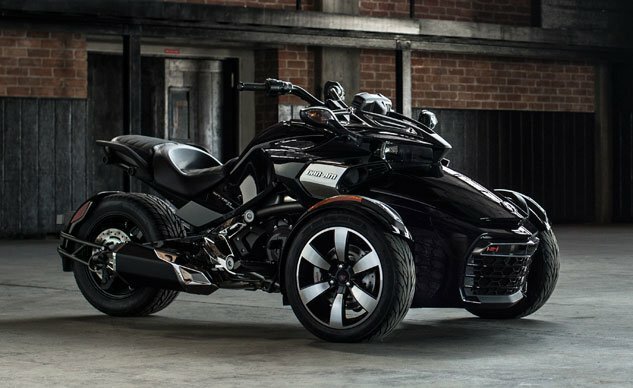 Spyder owners are riding in for another wonderful display of these amazing bikes. Further details in the new year. Our Italian Bike Ride In is always a great success with some truly fabulous bikes on display in our Courtyard! IAM Roadsmart Solent will be at this event with their exhibition trailer. The Museum will be open, as will the Bashley Manor Tearooms, so register your interest for this free event and a spot in the Courtyard to display your bike! Further details will be available in the new year. 2018 saw just under 100 bikes at the Harley Ride In! We are pleased to announce that Bournemouth & Wessex Advanced Motorcyclists (BWAM) are joining us on the day offering taster ride outs so riders can get a flavour of what Advanced Riding with IAM Roadsmart is all about. More details will follow but this will be offered on a first come, first served basis with BWAM's observer team. A Q&A session/presentation by BWAM will also be part of the day. Email Viv on museum@sammymiller.co.uk to register your interest, present your ideas or just have a chat about making this not just another fun day, but a day with practical, mechanical, riding and clothing advice. Bashley Manor Tearooms will be open providing food and drinks,as will our craft and gift shops and trade stalls are welcome at this event. An event for those wondering whether biking is for them, for males or females, for those who are new to biking, returning to biking or just want some tips and techniques to brush up on their skills, this is definitely the day to attend! Taster riding sessions will be organised on a first come first served basis, riding out for 20 minutes with an observer. These sessions will take place between 11am & 1pm and between 2pm & 4pm. Sign on for these taster sessions will be at 10am and at 1pm. 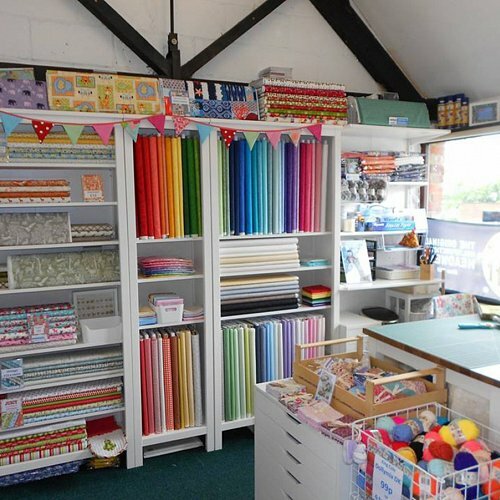 All carried out in a friendly, helpful and non critical atmosphere. The observers will be there to help you get the most out of your riding, improve your skills, and give you confidence. A day to be enjoyed! Lunch will be between 1 and 2pm. Q&A sessions will be held throughout the day. Contingency Plan – Or Wet Weather!! If it rains, our car park and drive areas are hard standing so riders can still participate. Ali Scott's Annual Poker Run and as usual Ali will promote this event from the middle of 2019. Our first ever Cafe Racer event! If you would like a trade stand at this event or would like to bring your local group along please just email us or call Viv on 01425 616 644. Our 5th Santa's Toy Run! Before you set out - please check event is still on!